This month marks the 50th anniversary of “ Bloody Sunday ” and the 4 day monumental 54 mile march from Selma to Montgomery. 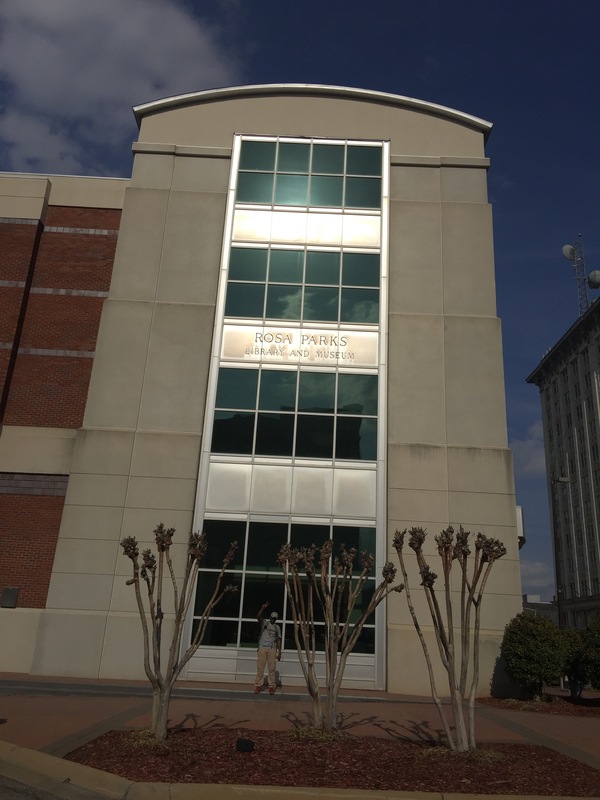 I have been so lucky to take in some of the added activities, events and exhibits that highlight the civil rights movement. 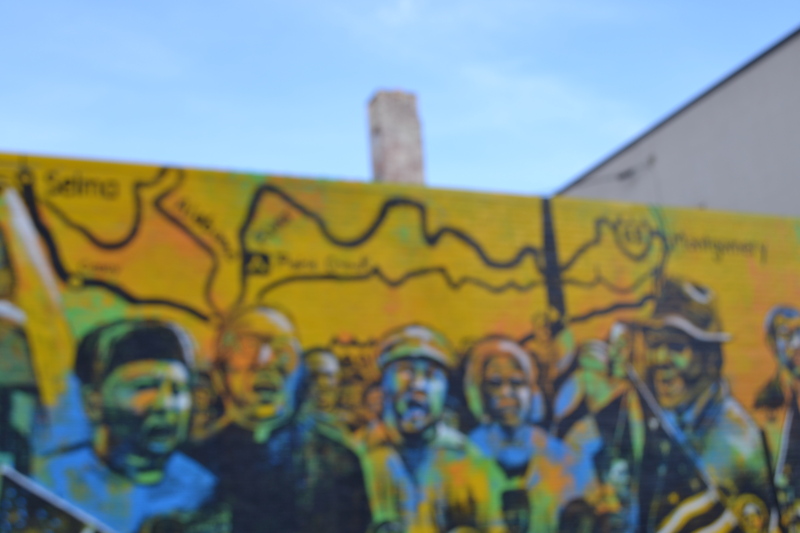 New murals and art work grace the downtown area. 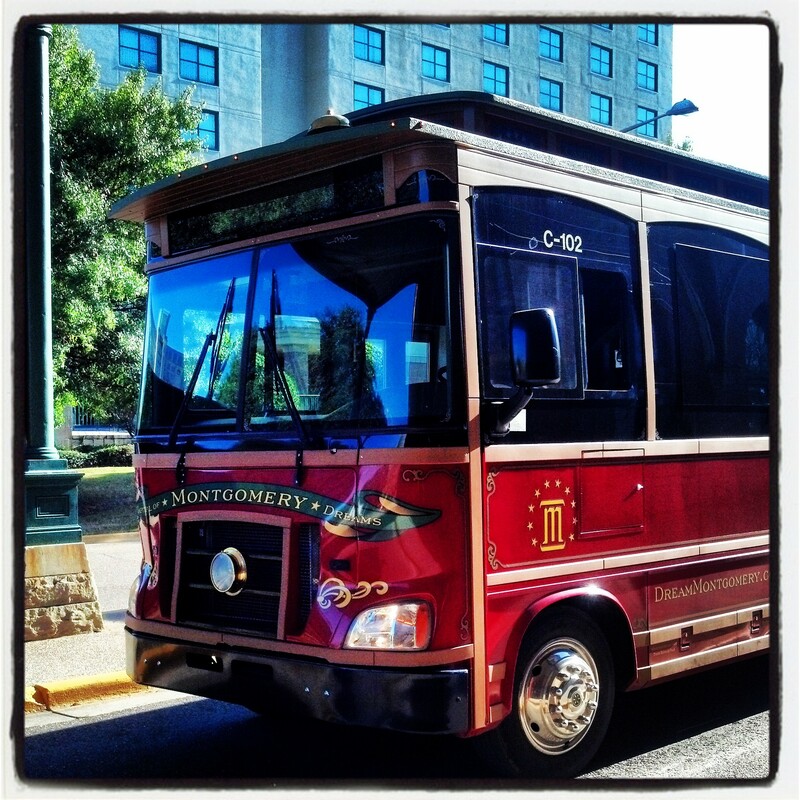 During the month of March, there is a special one-hour trolley tour that highlights the civil rights movement, including a trip to the City of St. Jude along the Selma to Montgomery National Historic Trail. A new feature added for those doing self-tours by walking or driving, is the rental of an Mp3 player. 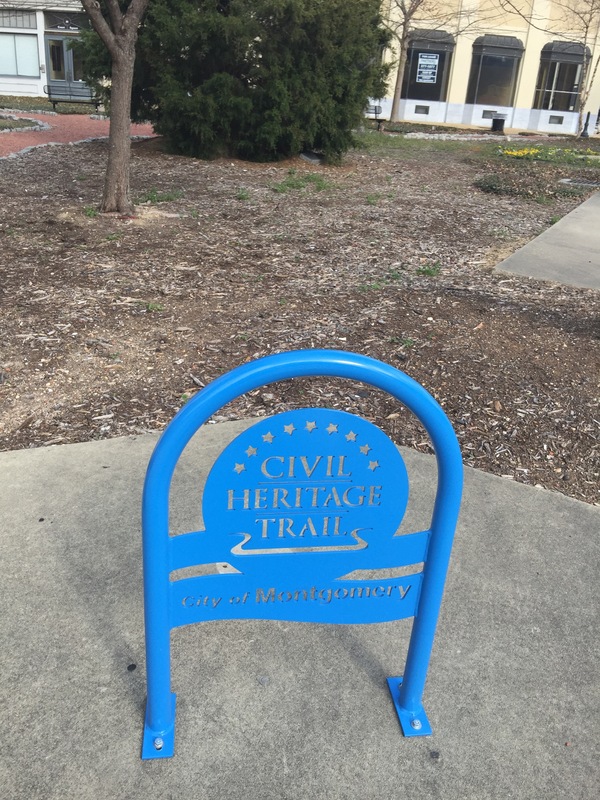 Through guided tracts, you follow the key civil rights trail. This was put together by Alabama Public Television and features voices of folks who were pivotal in this movement. Kudos APT! I have to confess that I have been on this tour maybe 10 times. This tour I learned that during the 4-day 54-mile march from Selma to Montgomery, there were stops along the way to spend the night. 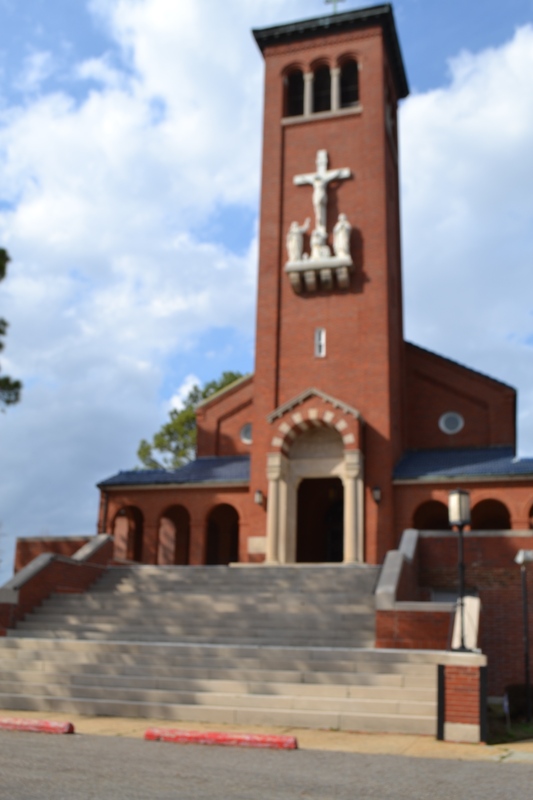 The last stop was on the 34 acre Catholic campus of The City of St. Jude Campus. I thought this was an actual city. According to the website of St. Jude’s, the mission has always been to address human rights since it’s founding in 1934. Hosting the marchers who were fighting for voting rights and equality seemed like the right thing to do. However, it was even more important as this welcome uplifted the tired people and gave a place for celebrities such as Sammy Davis Jr., Tony Bennett, Nina Simone and Peter Paul and Mary to perform — this became known as “Stars To Freedom Rally.” The following morning, the crowd gathered without incident in front of the Alabama State Capitol. By this time the marchers grew to 25,000 strong. To note, not long after, President Lyndon Johnson signed the Voting Rights Act into law. I thought this part of the story was really interesting. 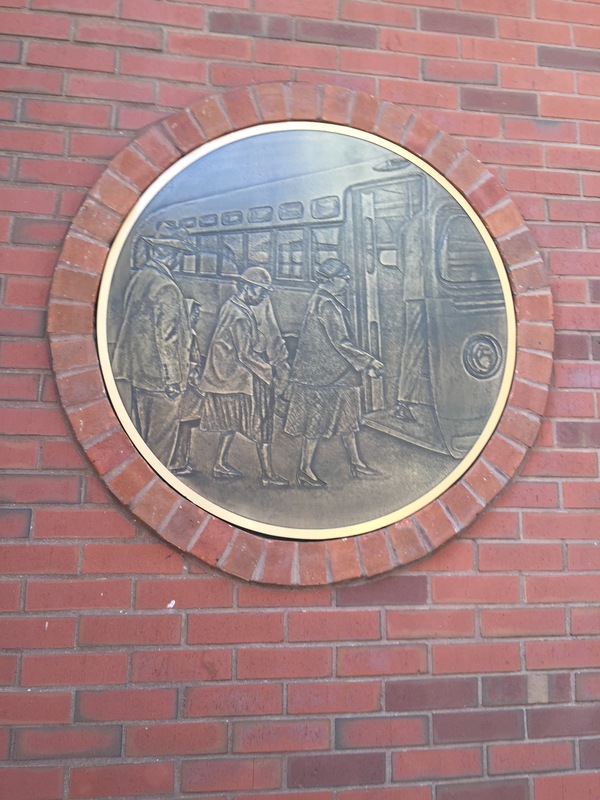 Rosa L. Parks Museum. On December 1, 1955, seamstress Rosa Parks was arrested for not giving up her seat to a white man on the bus. 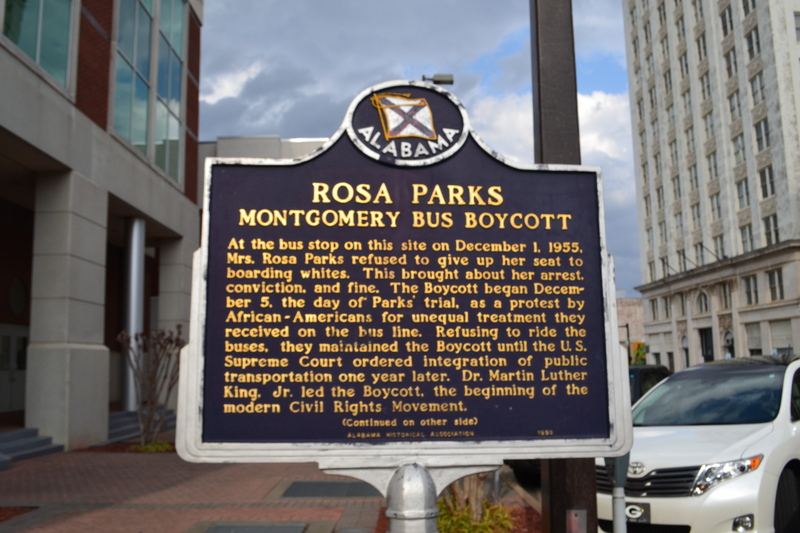 Her arrest lit a fire that began the 381 day Montgomery Bus boycott. The Supreme Court declared segregation on public transportation illegal. Sadly, this did not end stupidity, and on May 2,1961 twenty one young folks stepped off a Greyhound bus to a waiting crowd of non awakened people, and were viciously attacked. You can visit this museum to learn the story. If you are on the walking tour and decide not to enter, the exterior has great pictorials and quotes from peaceful folks like Gandhi. 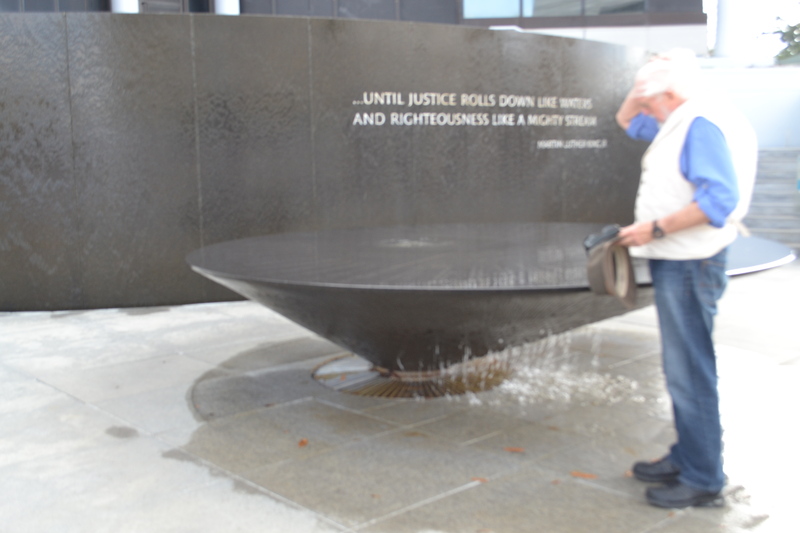 Court House Square Fountain is a beautiful artesian spring with an ugly past. 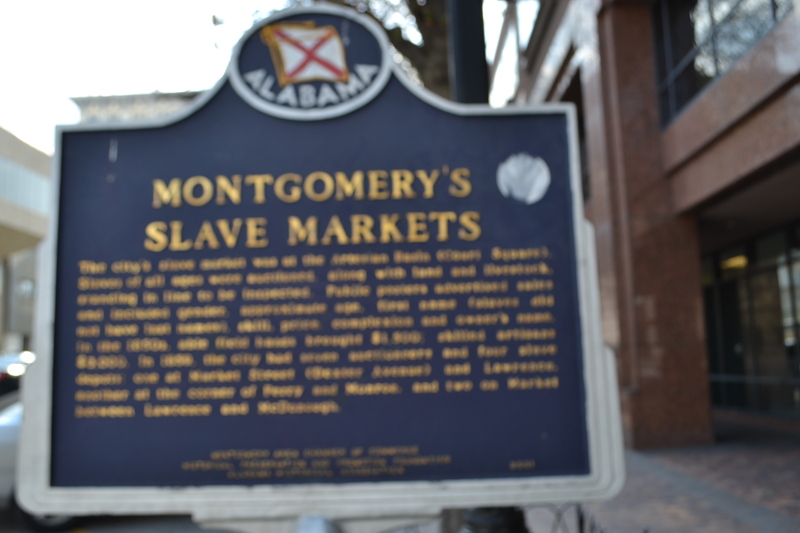 Land, livestock and slaves were auctioned from this point. 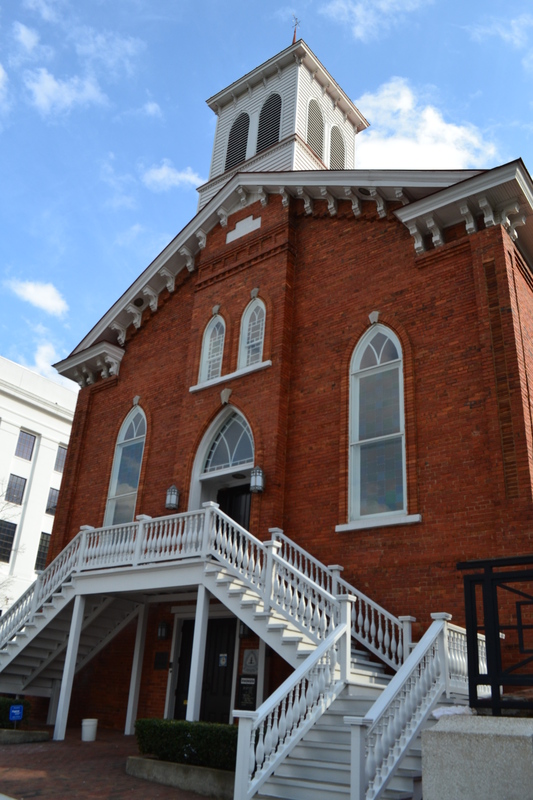 Dexter Avenue King Memorial Baptist Church is where Dr. Martin Luther King began his Ministerial and Civil Rights leadership. It is a functioning congregation and tours are also held in this house of worship. 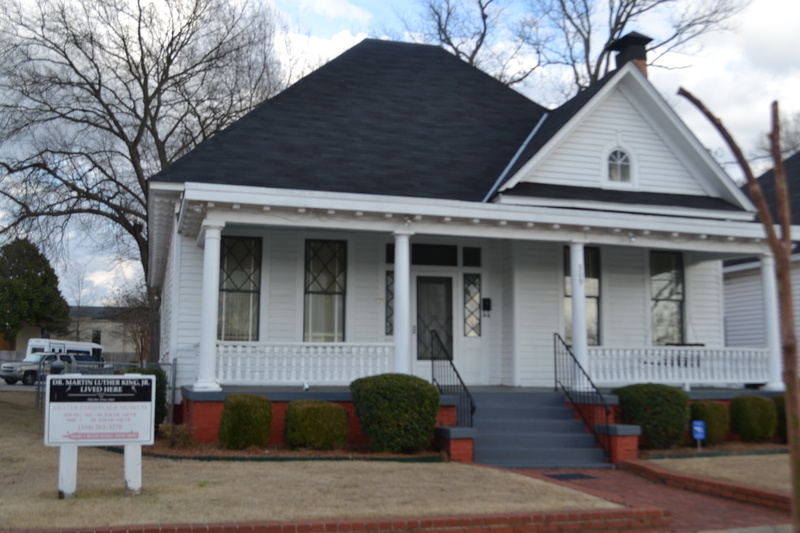 Martin Luther King lived here. Old enough to remember this place in the news? Or, if you went to school that studied American history, you will know this sight. 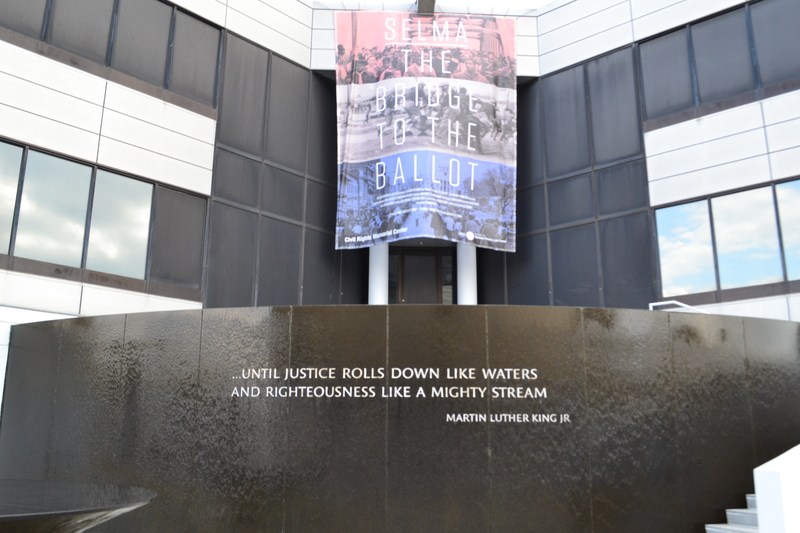 “Until Justice Rolls Down Like Waters and Righteousness Like A Mighty Stream” -Martin Luther King The Civil Rights Museum and Southern Poverty Law Center is my favorite place in Montgomery. It is peaceful and moving. This man was one of the original organizers of the march. 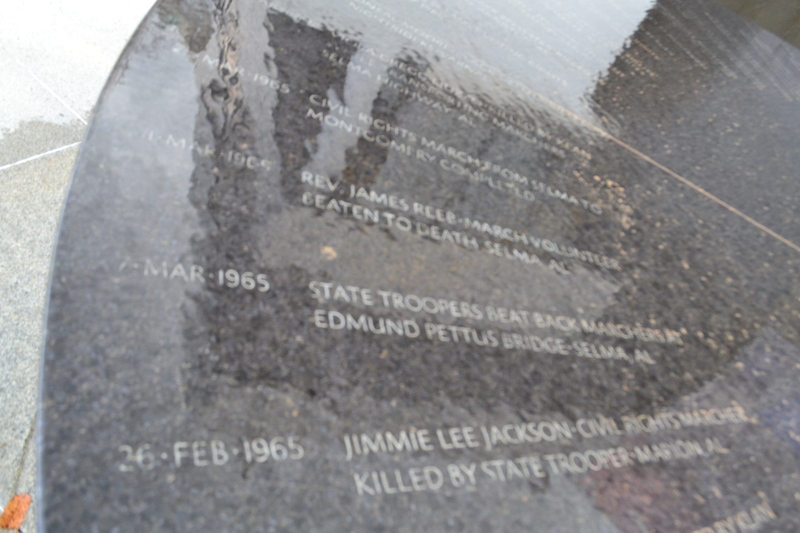 Many visitors are returning to Selma and Montgomery. Great meeting these folks. Inspiring! The time line of the movement that spirals clockwise. Water flows over the names of those who gave their lives. I love this! MEGASTARS ***** I give this stop 5 stars. I wish every person in our country could visit and take in some of these experiences. The trolley tour is really great! Absolutely eat at some of this area’s fun restaurants.